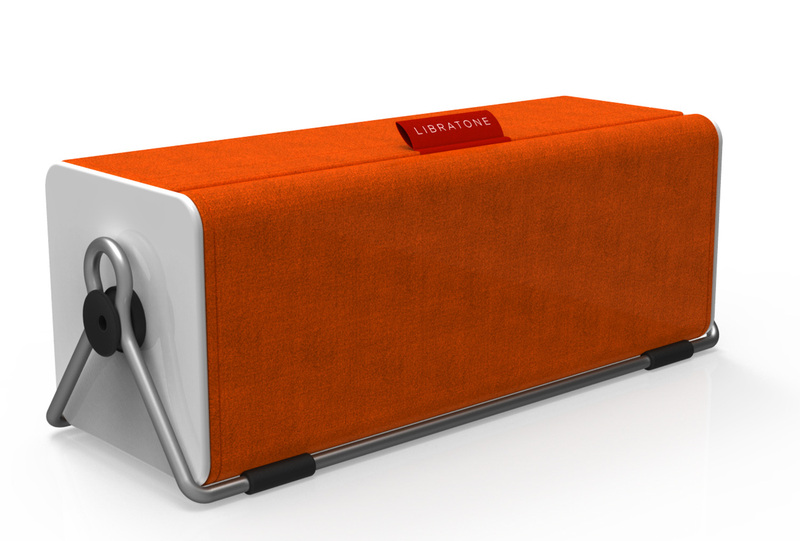 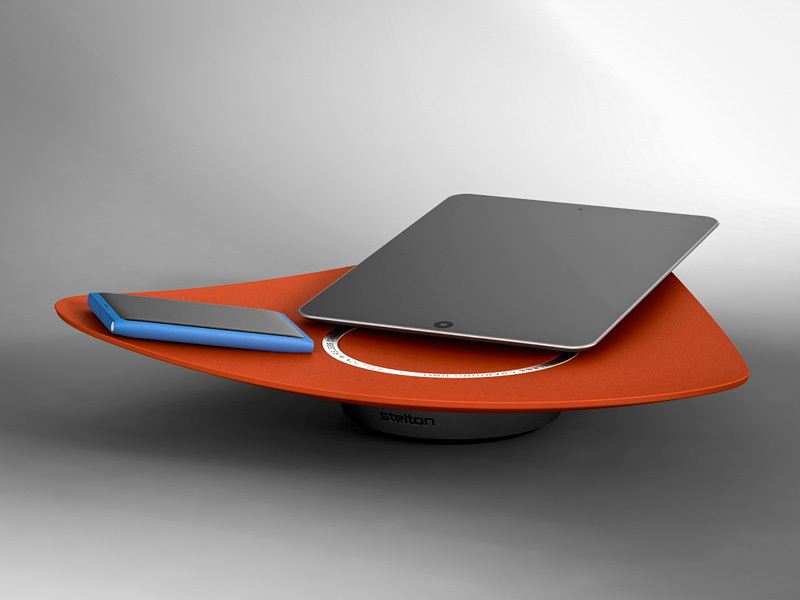 The aim of this project has been to design a compact and trans- portable battery powered speaker, that will fit in Libratone’s current product line-up. 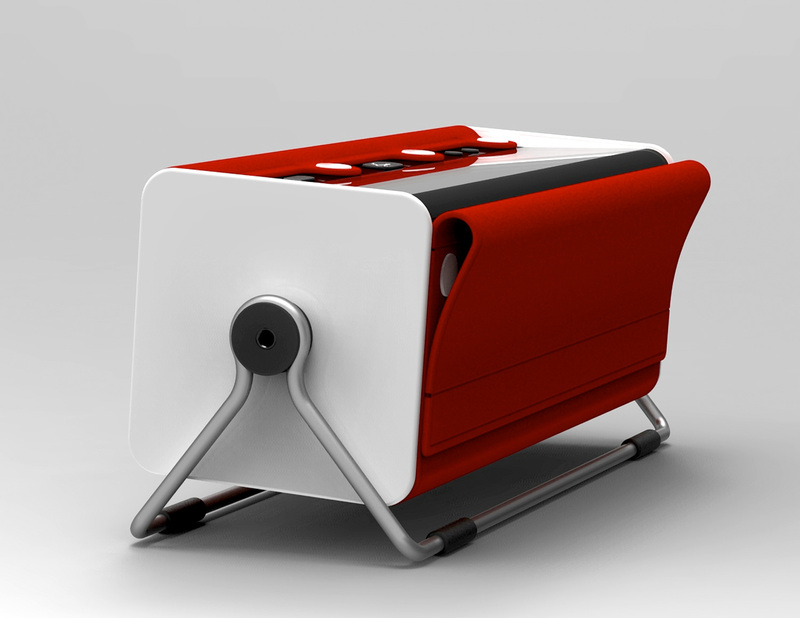 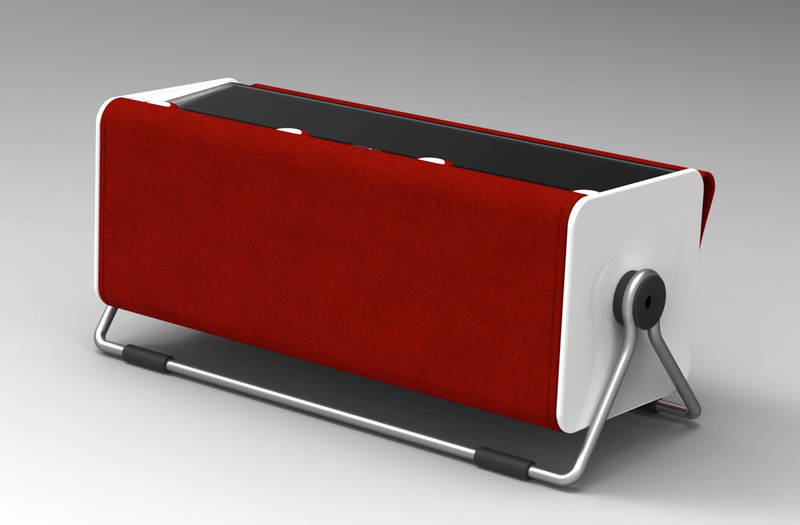 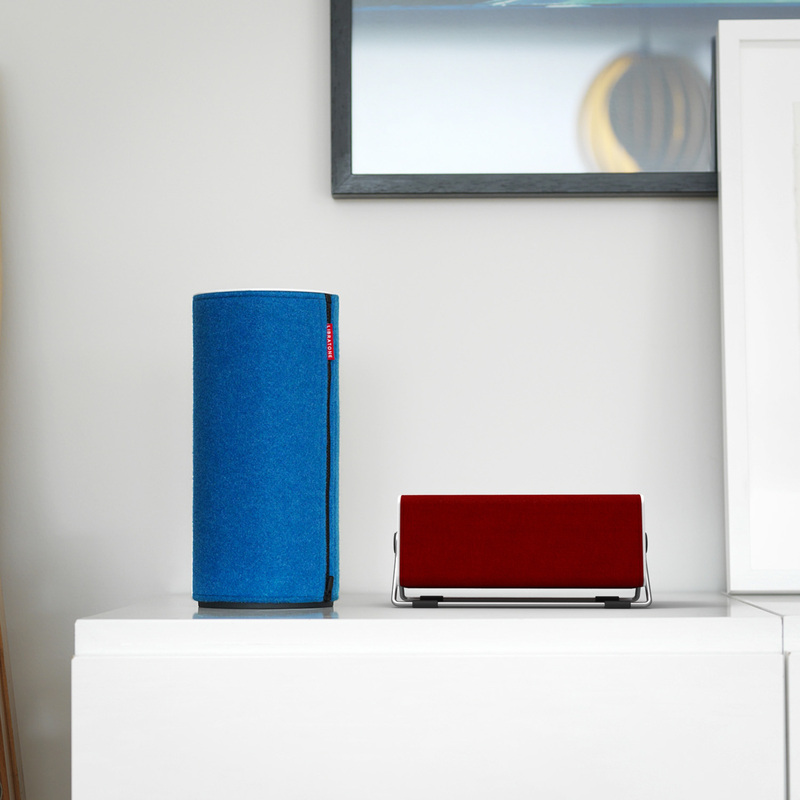 The speaker consists of a rectangular speaker unit, with the characteristic wool cover wrapped around it. 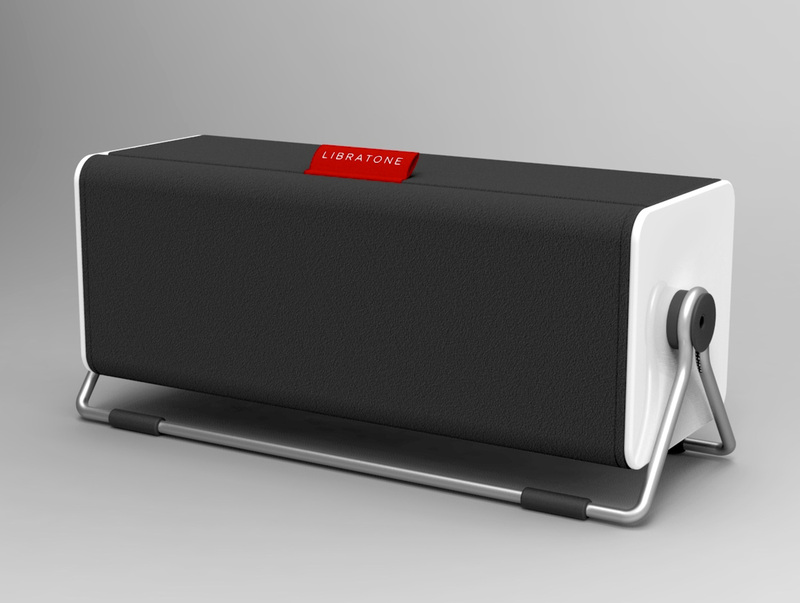 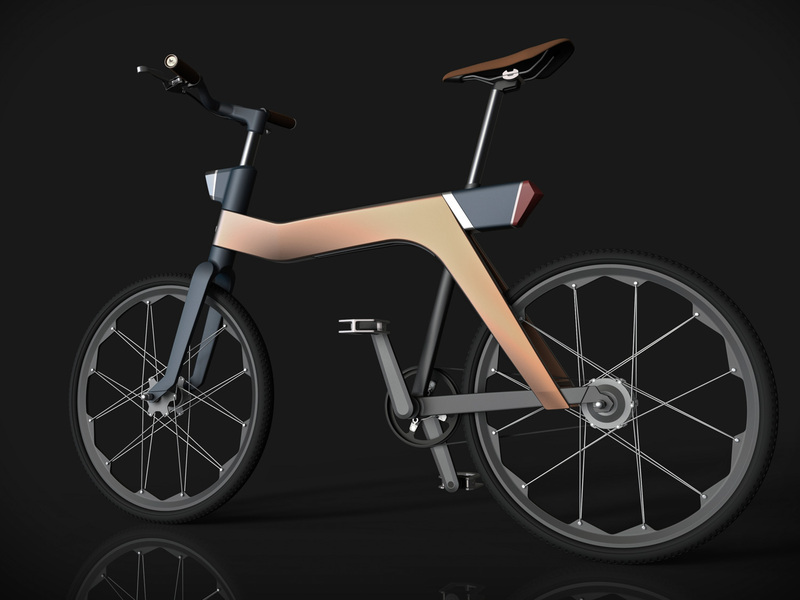 The speaker unit is attached to an aluminium tube frame, which functions as a base for the speaker, that elevates it from the ground. 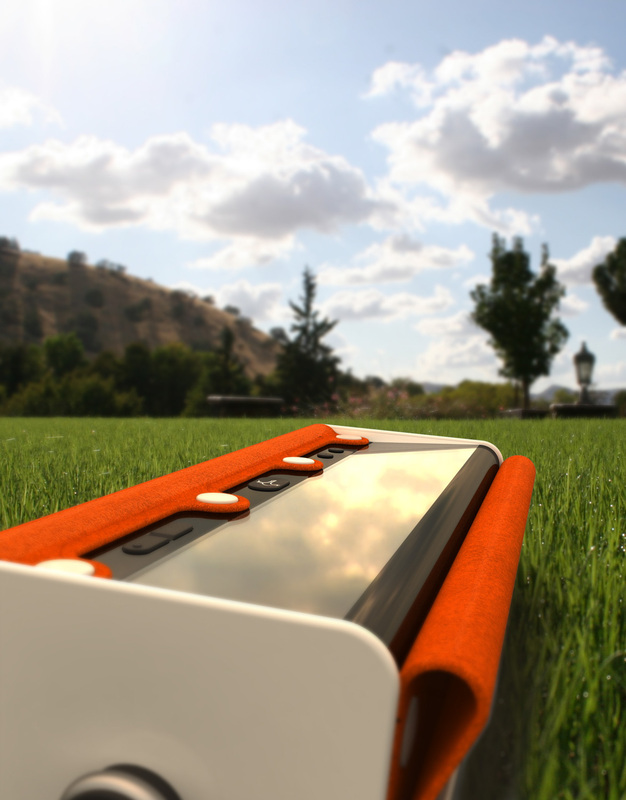 On top of the speaker unit is a solar panel along with control buttons which are accessed by flipping over the wool cover, which has a magnet strip to keep it in place.